For those who want to talk about designing bobbin lace, whatever style. For modern work look at https://www.facebook.com/groups/ilmondodimariabissacco/ where photos of really innovative work are posted daily. Bridget Cook & Geraldine Stott BOOK OF BOBBIN LACE STITCHES, Branford, Watertown Mass. 1980. 262 pages. A great variety, but omits some continental grounds. Cook & Stott INTRODUCTION TO BOBBIN LACE STITCHES. Batsford, London, 1983. 86 pages. Adds some continental grounds omitted in the 1st book. I would call these the most basic ground. Started by Jenny Brandis. Last reply by Jenny Brandis Aug 31, 2016. Started by Devon Thein. Last reply by Gul'naz Taylor Jan 23, 2016. Started by Lorelei Halley Administrator. Last reply by Lorelei Halley Administrator Nov 9, 2014. Started by Elsa Elisabeth van Baaren. Last reply by Selena Marie Joosten Dec 8, 2013. You need to be a member of Designing Bobbin Lace to add comments! 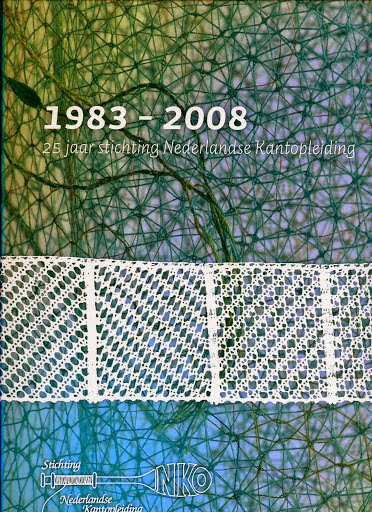 In the Anna magazine of July 1996 there are all the letters made in bobbin lace. I have a student who is thinking about making a bobbin lace alphabet. I have seen examples of the alphabet worked in lace, but I haven't saved any photos. I have seen both tape lace and torchon examples. Does anybody know of photos online of such things? If so, please post photos here below. I think we will have to design something for her, but seeing what others have done might spark ideas. 1st you need a jpg or gif file containing your photo, from a digital camera or a scanner. 2nd go to my NOTE on photos http://laceioli.ning.com/notes/PHOTOS Paragraphs 1 and 4 are most relevant. There are detailed instructions. I fully agree, making your own rules is great! I tend to draw something unusual and then see if it can be worked. As for this stitch, I am happy to send a picture of it, but I need to work out how to go about that, as I am not too computer smart! Here is the working set up. Can you put a photo on of the stitch so we can see what you have come up with. I know that I spend more time on my own patterns and the nice thing about doing your own designs is that you can make up the rules as you go. I have just designed a piece of lace and worked a stitch I don't recall ever seeing before. It is not unlike the Cooma kiss.Now to think of a name for it. One problem with designing lace is that you don't seem to use other peoples books anymore, as you are too busy making your own patterns. Do show us a picture, Arlene. I made one of these lace balls - intrigued by the challenge. Styrofoam ball from the local craft store and covered with the pricking on card stock. I used my large flat block pillow and assorted little pieces of balsa wood, etc. to get it wedged in. Even with my best efforts, the ball took much longer to make than it should have because so much time was spent tensioning and readjusting the ever moving/tilting ball. Loved the idea of it, but never felt the need to make another one because the making of it just wasn't fun. I'll have to take a picture some time and post.